As you walk round any particular city or town, you’ll be almost guaranteed to see some kind of construction or building work being undertaken. 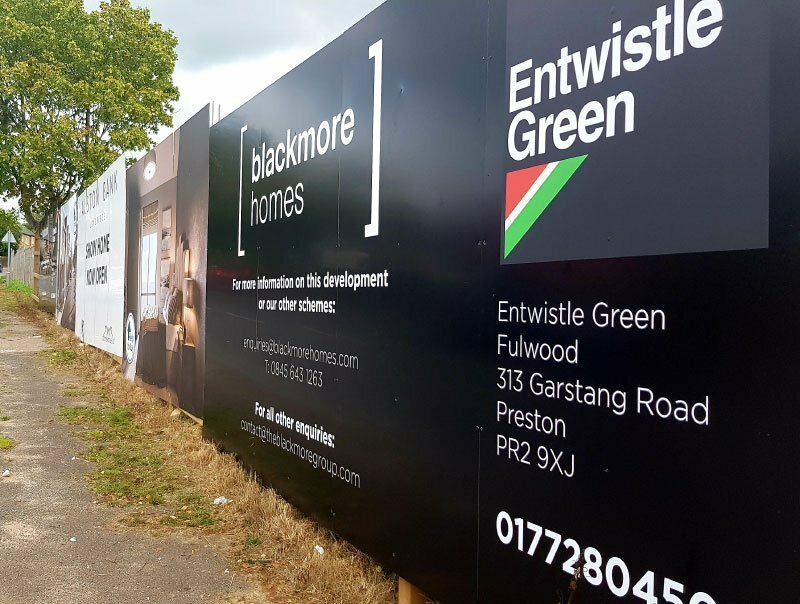 As everyone knows, building sites can be incredibly dangerous places, and as it is a mandatory health and safety requirement, every single one of these sites will be cordoned off from the public, either with temporary fencing or hoarding. This is to keep the site safe and secure and to prevent the access of anyone unauthorised to the area. 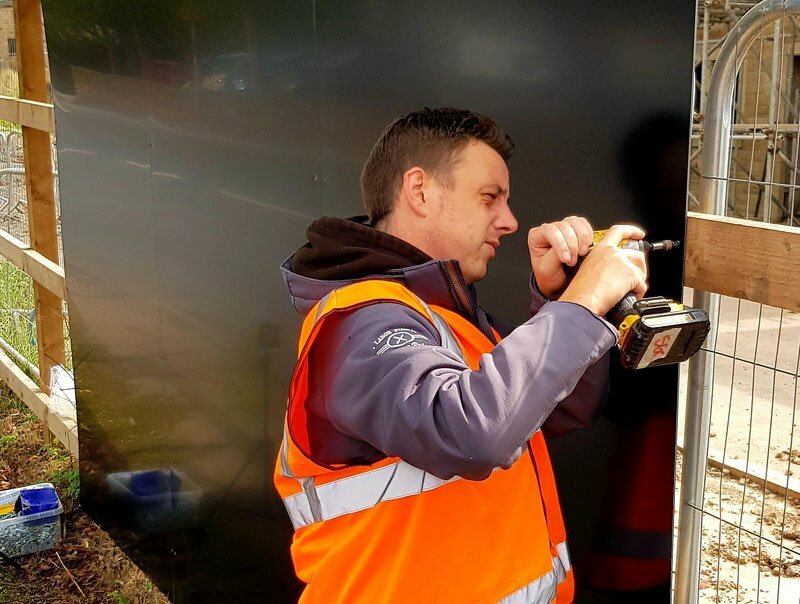 This perimeter fencing can be constructed in various ways: from temporary modular wire ‘Heras’ fencing, to bespoke timber or metal constructions. 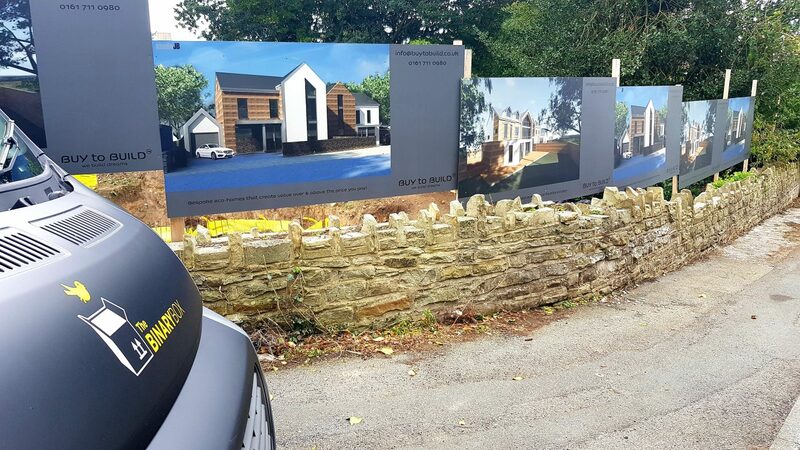 Since hoarding is a temporary measure put into place during construction, why not use the available surface to advertise the company or contractor undertaking the work, and also the look of the completed construction itself? 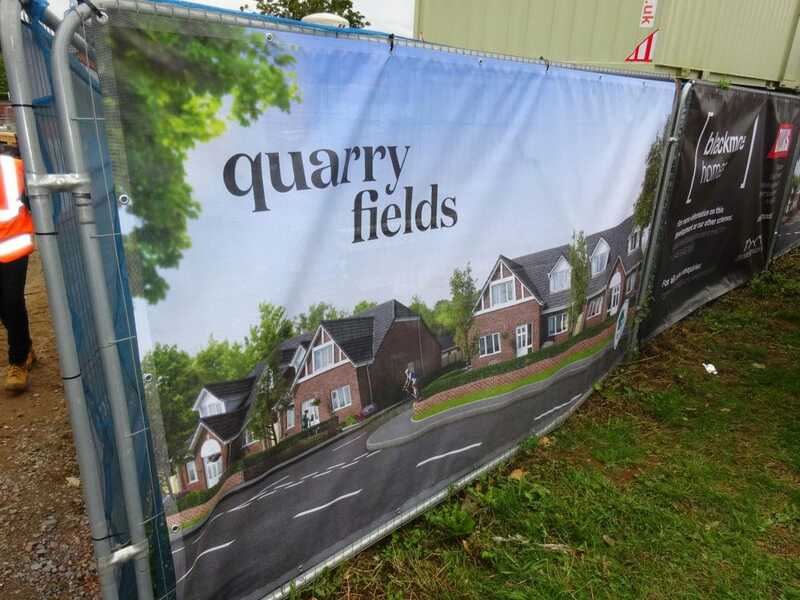 There are numerous methods to achieve this result, from simple banners, to plain wooden panels incorporating effective graphics, to full-colour large format printed hoarding panels. 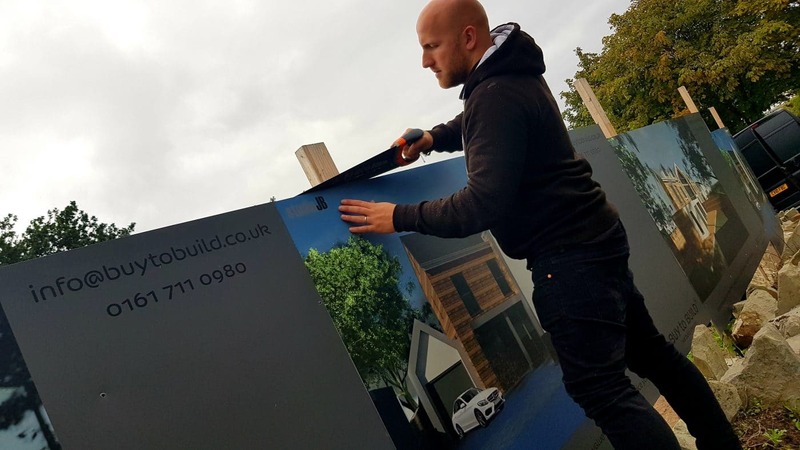 It can be a particularly cost effective method of advertising and with careful planning and placement of design, the likelihood of your message being exposed to a large amount of people can be huge. 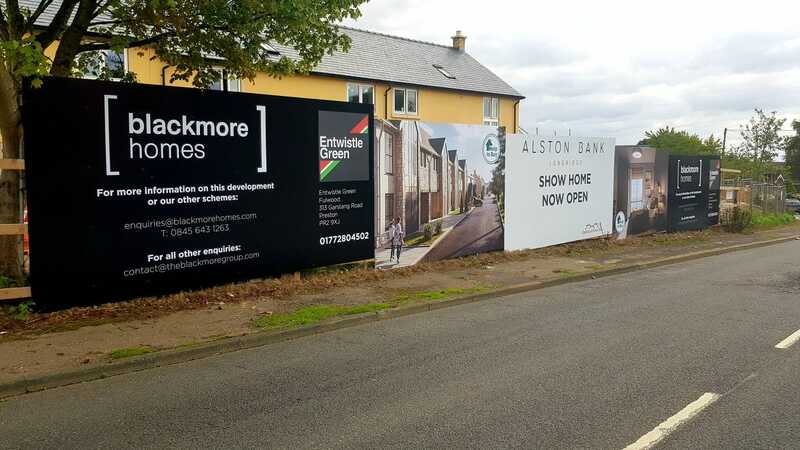 Similarly, If your marketing message is designed and displayed in the right manner, the impact of your hoarding could be highly effective, and could help turn a potentially uninviting work area, into somewhere much more aesthetically pleasing. There are other options to consider as well, such as using an anti-graffiti laminate to ensure your signage always looks its best. Whichever method of hoarding you decide to choose, it can be a unique and very effective way to ensure that your message will be seen by a large volume of people. 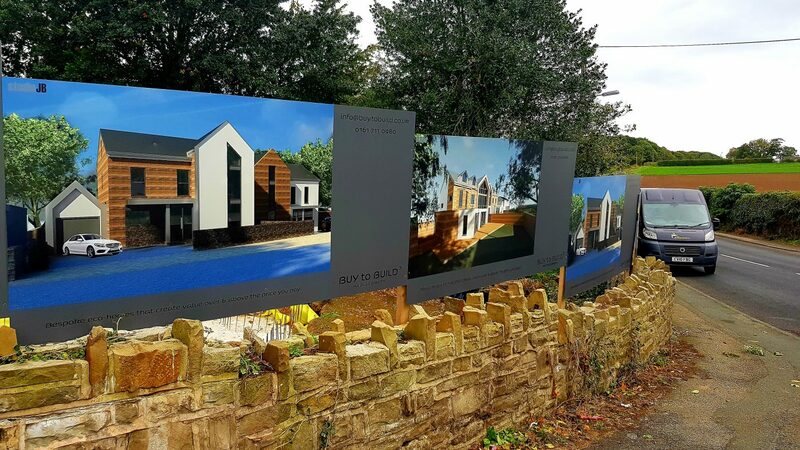 At the Binary Box we’ve completed a large number of these hoarding projects, most recently installing site perimeter panels for an eco-home construction plot, resulting in the site being completely cordoned off from the public, and also incorporating stylish artist-impression images of the completed houses. 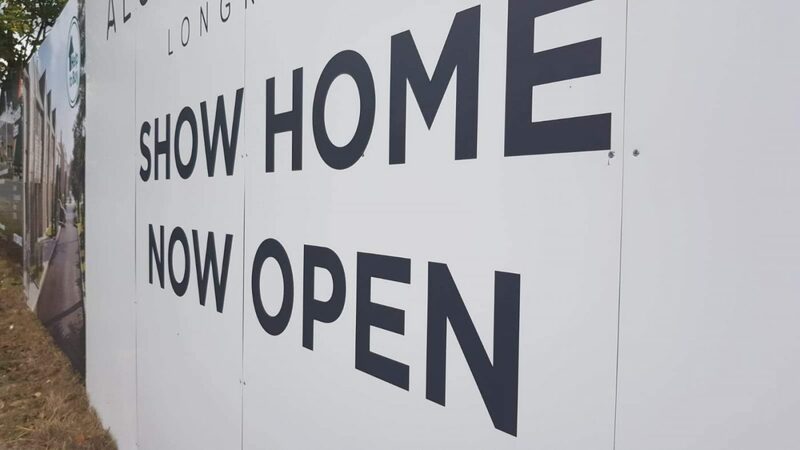 If hoarding signage is something you or your company is considering, please get in touch with us here at The Binary Box, we’d love to hear from you and help with bringing your hoarding ideas to life. This entry was posted in Bespoke, Uncategorized. Bookmark the permalink.